Alain’s focus and passion has been his involvement with the healing arts for over 30 years. As a yoga practitioner and instructor he began the path to self-discovery through deep meditation and contemplation. His path led him through numerous eclectic studies culminating in becoming a Qigong healer and teacher in 1995. He was head Qigong Instructor for Southwest Acupuncture College in Santa Fe, NM for three years. 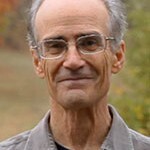 In 2001 he began teaching the advanced classes in healing with Quantum-Touch as well as authoring two books, Quantum-Touch Core Transformation: A New Way to Heal and Alter Reality (co-authored with his wife Jody) and Supercharging Quantum Touch: Advanced Techniques. Since then, in his pursuit of further personal growth he began delving more deeply into the emotional states. Out of this, working with his wife Jody, evolved The Wonder Method. This work has become a method for personal growth as well as a healing modality. His newest book: Energy Healing and the Art of Awakening through Wonder is now available through The Wonder Method website, book stores and amazon.com as an ebook. In the practice of The Wonder Method, Alain has found it has enhanced his experience of a balanced joyful life, the ability to create reality, as well as creating wonderful deep healing for both himself and others. As Alain has a surprising ability to see energy move and function in a person’s body, he is able to guide others in this process within their own bodies. This provides them with accurate reference points to work from and expand on. More importantly is his ability to clearly share what he has learned with others both in classes and in person.